Born in Glukhovo, Sumy pr., Ukraine, 1924. Studied at Odessa Art College 1946-51. Active in Odessa, Ukraine. 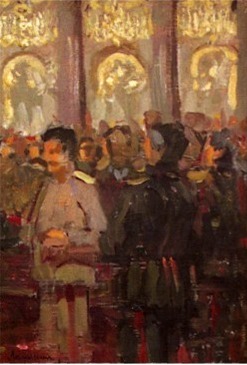 Began exhibiting 1951. Important shows include "All-Union Art Exhibition", Moscow 1951; "All-Union Art Exhibition", Moscow 1952. Specialised in ballet subjects. Well-known Odessa realist. Died 1994. 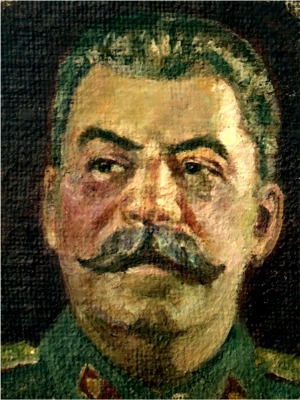 "Stalin at the Kremlin", oil on cardboard, 29 x 21 cm. 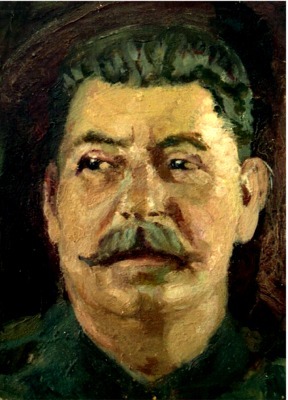 "Stalin", both oil on canvas, 22 x 16 cm.